This past weekend was full of activity around the homestead putting summer away and welcoming the cold and frost of winter. The chickens had to be moved closer to the house so we let them “free range” for a bit while we cleaned and prepared the coop for transport to the kitchen garden where, as I’ve mentioned, they will scratch and prep for Gardening 2015. 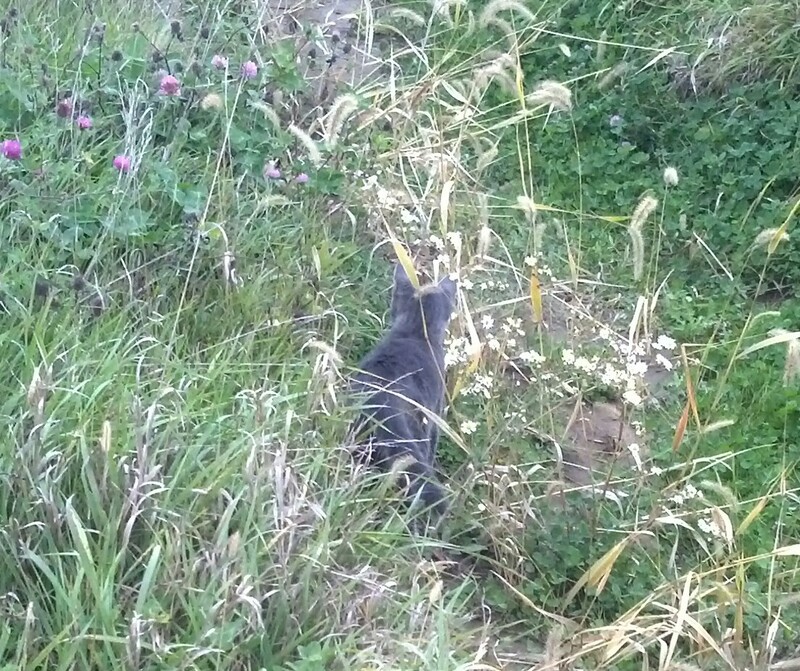 The cats, now almost full grown, were stalking them…more out of curiousity, I think than intent on a meal. 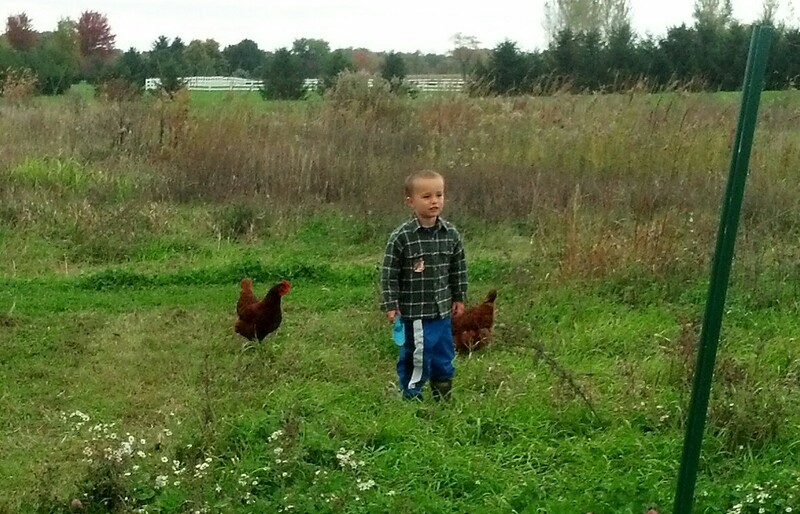 They would get close, the chickens would squawk, and the cats would high-tail it back to the house. Even more hysterical was Joe, conversing with the birds. He walked around sternly telling them to get back in their house. To stop roaming around the swales. He wouldn’t get too close, but his shooeing techniques were pretty funny to watch. He finally asked for the “chicken catcher” AKA the fish net we’ve been using to round ’em up. 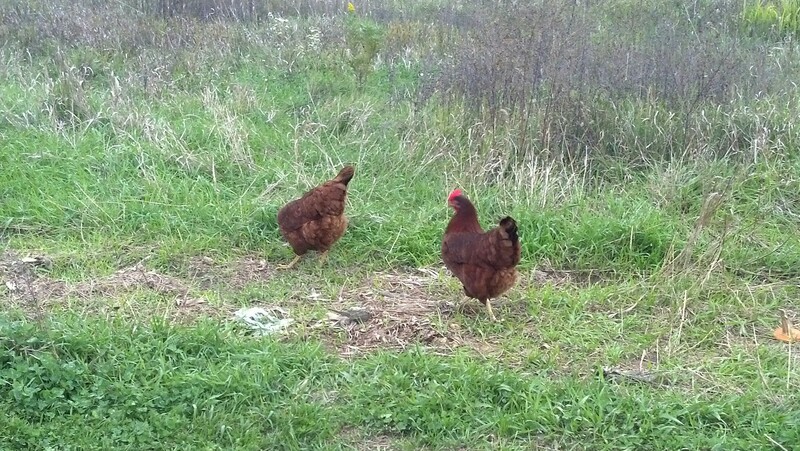 Then there was a lot chasing and laughing and, luckily, the chickens were rounded up unscathed. I don’t think they really enjoyed being outside the coop and pen. They roamed for a little bit but kept coming back to the pen, and they didn’t really fight us when we picked them up to get them in their clean and dry coop. Once we got the coop moved to the kitchen garden and got the girls all settled, Ray installed the heated chicken waterer that we bought for the winter months. We won’t be able to used the rain barrel in the winter because the lines will freeze and the girls would get dehydrated. Unfortunately…that will mean refilling the waterer, at least every other day if not more often. At least they’ll be close to the house. 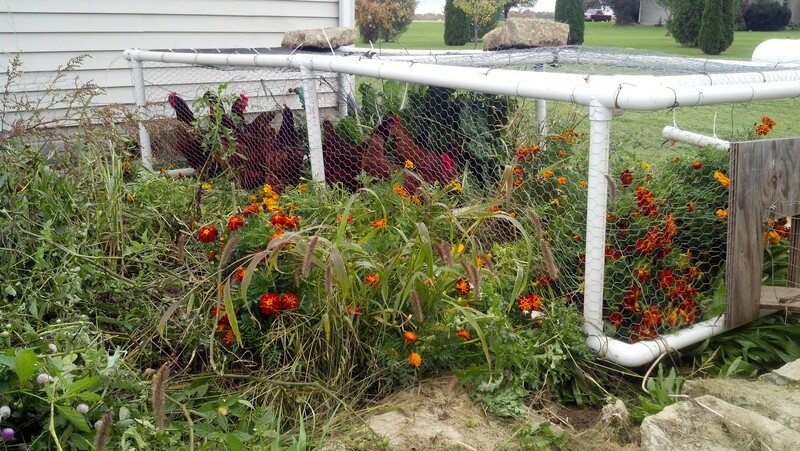 This entry was posted in Chickens!, Garden Stories, Preparedness, Writing. Bookmark the permalink.